Today, like everyday past, I awake to a blank canvas. When I look at this canvas, there is so much I see. 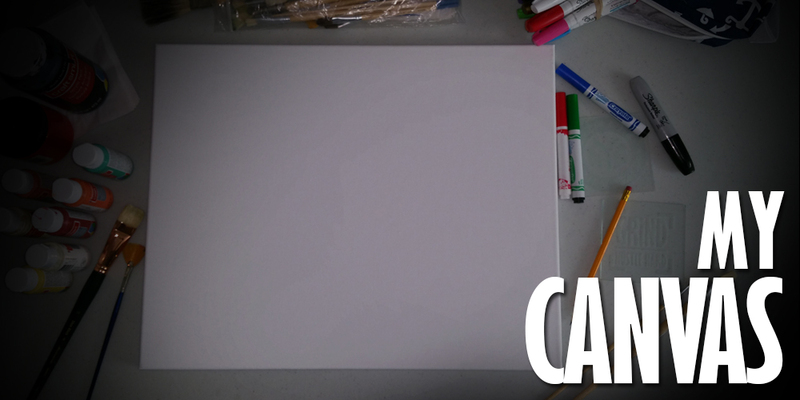 I think of all the amazing things that I can do with this canvas. All the different directions I can go become apparent, as It allows my mind to think beyond the limitations of my initial thoughts. There are infinite options I have because of it. Sometimes it can be overwhelming and confusing because there is so much that I want to do with it. However within that confusion lies the beauty of it. The canvas dictates that I focus and prioritize if I want to create something special with it. It speaks to me silently. It reminds me that I need to plan and plot my course before I take action because if I “just go”, I can ruin it all. This is my canvas. It allows me the space and freedom to define what it will become. It grants me access to explore the infinite images I see in my mind. It provides a stage to bring forth what I can see that no one else can. It allows me to make the impossible possible because this is my vision. I often find myself wondering what it will look like by the end of the day. Each of You have your own canvas as well. You may not be as creative as I am, but you do not have to be, nor should you be like me or anyone else to make full use of it. What you do with your canvas is totally up to you. However If you never pick up your brush, You will never know what it will become.